Daria has just returned from a survey trip in the lake region of her beautiful country of Georgia. 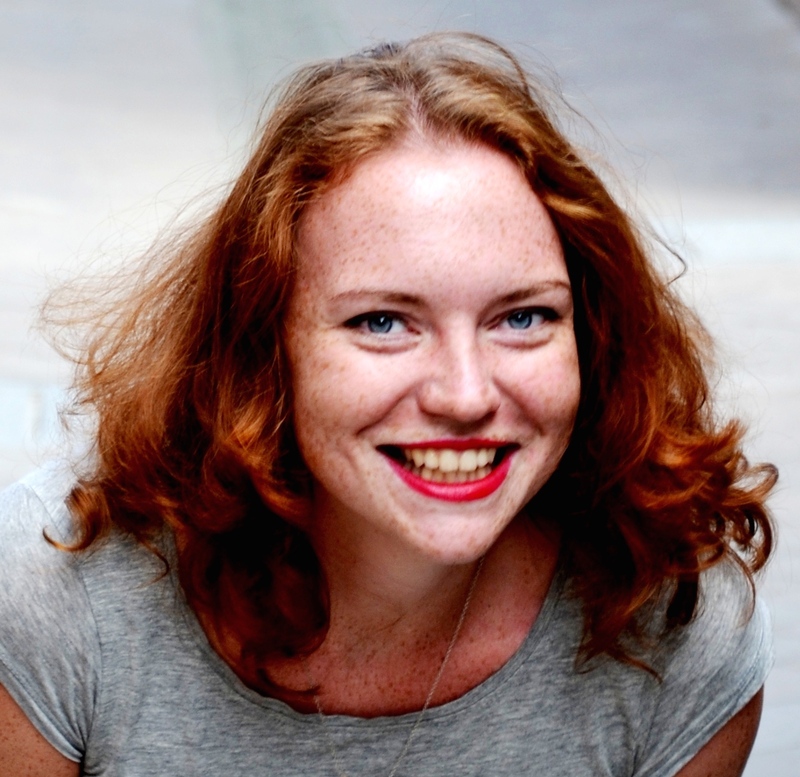 She tested there some great spa hotels so that you can add some “bleisure” to your travel trip. 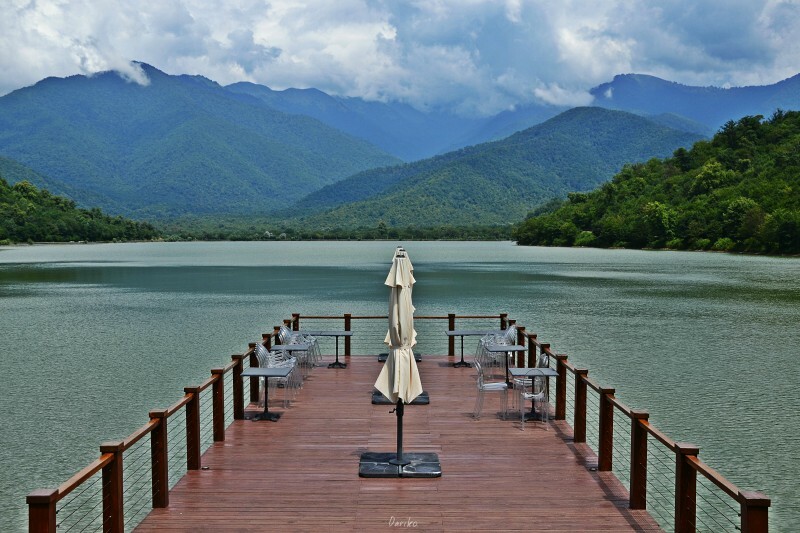 How mind relaxing it is to enjoy a nice massage along the shore of a gorgeous mountain lake just 2 hours away from the capital city of Tbilisi? Here are some good tips for that. 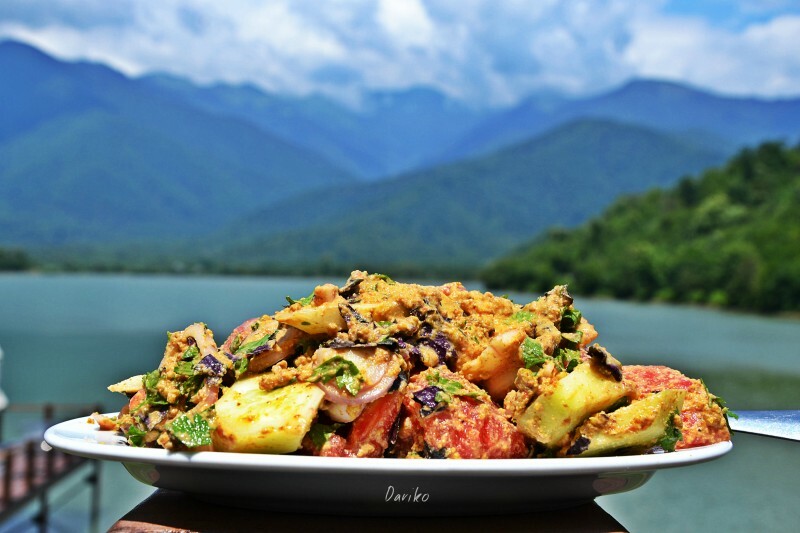 Usually while gathering ideas for a vacation in Georgia, people rather think of mountains, hiking, trekking and maybe Georgian wine. It is all true, but actually there are some little spa gems hidden between green mountains and picturesque lakes. 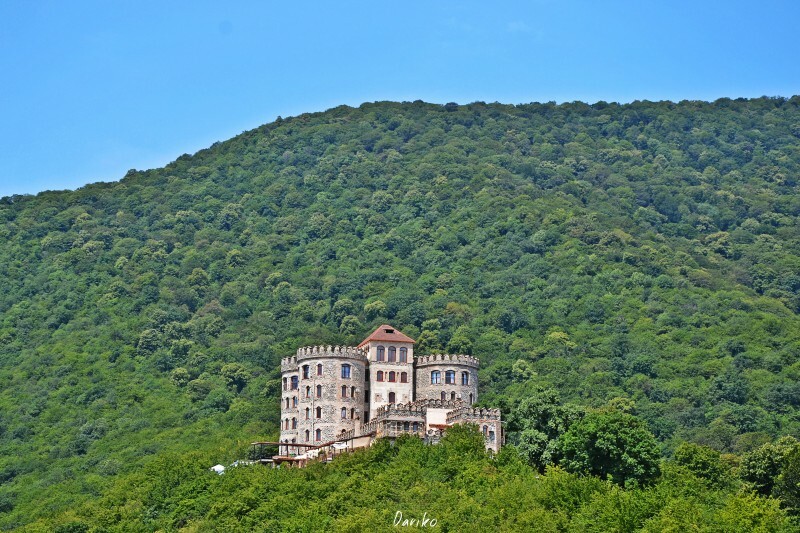 Doesn’t matter, if your trip to Georgia is for business or leisure: you should definitely find at least one day for discovering one of those places! Actually, the most known spa region in Georgia is Borjomi, a small town in the Southern part of the country, rich on mineral and thermal springs. Borjomi water is one of the main export items; its quality and healing power is really incredible. 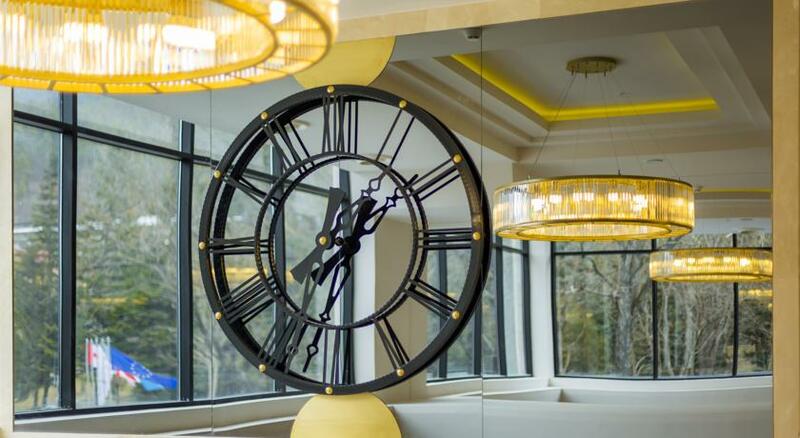 So, in case you want not just to relax, but really improve your health, welcome to the town – it is in 2.5 hours from capital city, Tbilisi. 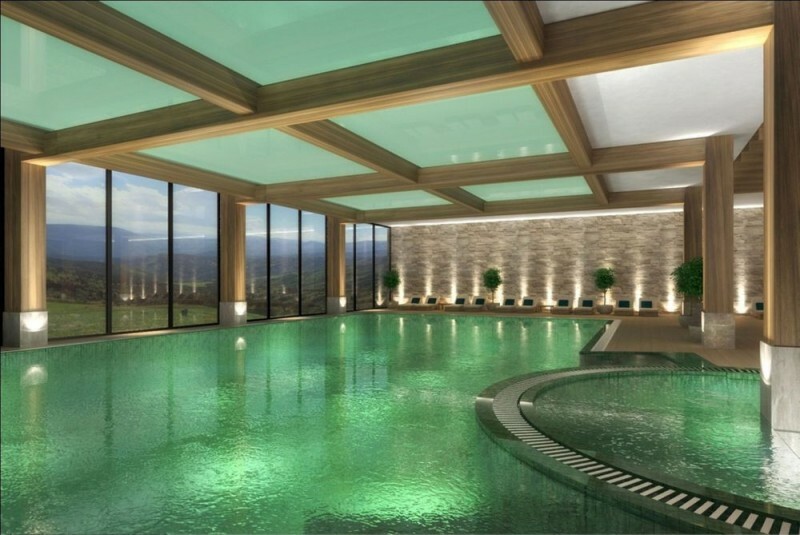 Apart of the well known stylish and luxury Rixos, there is also a good local spa-hotel called Borjomi Palace there. Two pools, very comprehensive list of therapeutic and spa procedures, stunning landscapes and friendly staff make you feel like a royal. After several days there, body and mind become refreshed and less stressed, so you get more energy and power to keep on changing world. 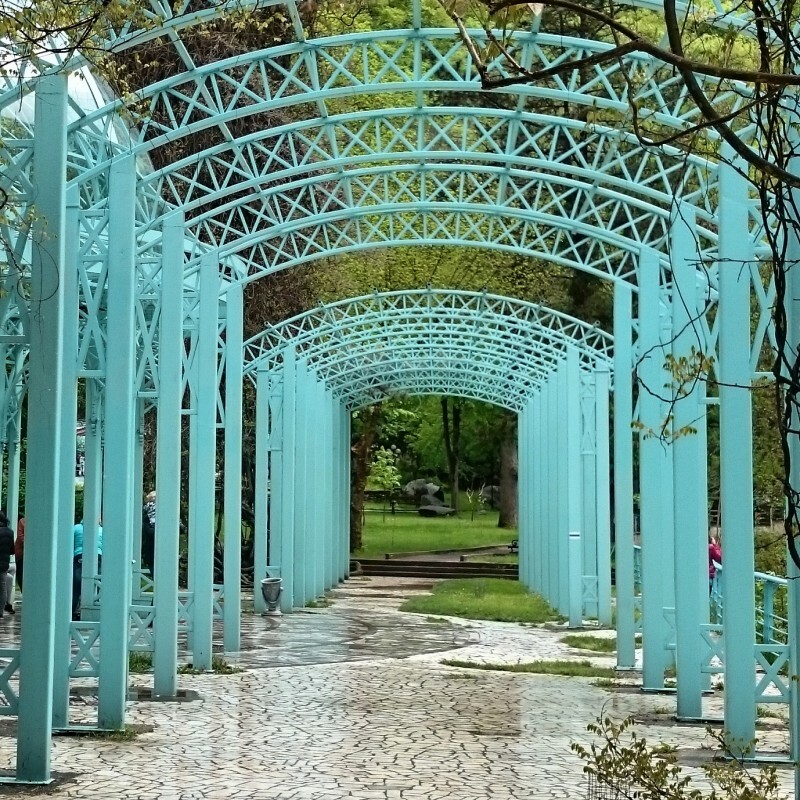 Another destination for leisure and relaxing is Eastern Georgian region of Kakheti. Usually people travel to there for wine and ancient fortresses and churches; for sure it is an important reason. 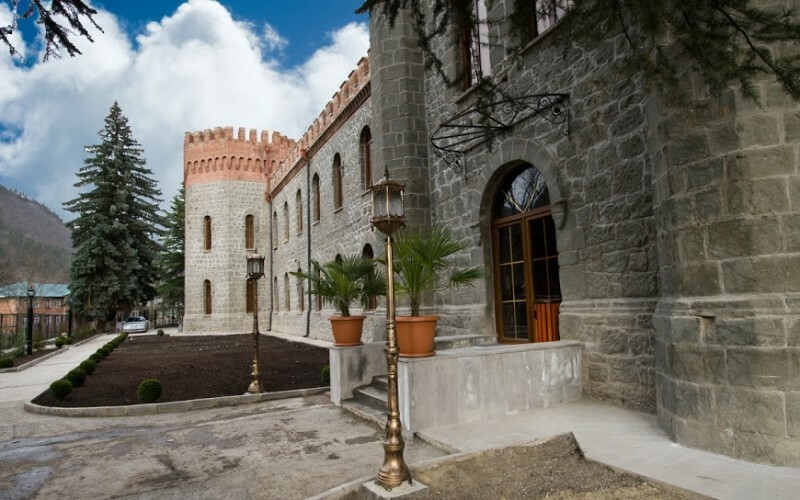 Though, during last 3-4 years, Kakheti is becoming more and more famous for its small resorts. Kvareli Lake Resort is one of them. A charming hotel hidden in the mountains offers its guests two saunas, an outdoor swimming pool, a fitness center and a small indoor pool. 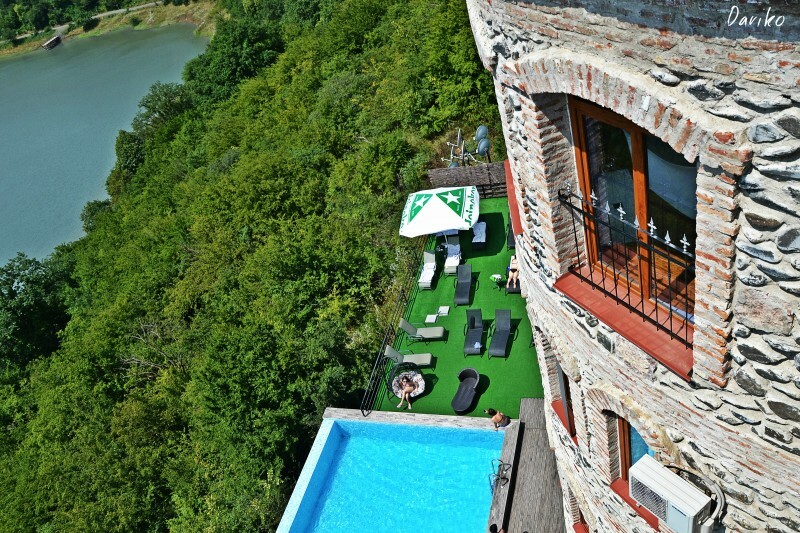 The view from each room is incredible: your eyes also get their treatment with beauty of Kvareli Lake and Alazani Valley. You can come just for a day and pay around $18 – 20 for using fitness center and spa facilities. Overnight prices start from $70 on week days, and from $90 on weekends. 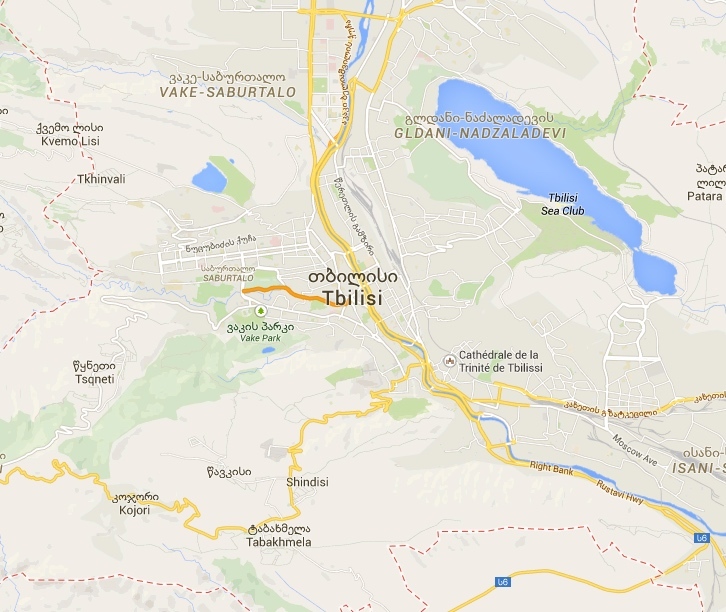 Not far from Kvareli Lake Resort, there is another hotel complex, Kvareli Eden. A part of Spanish franchise, Unnico Spa, it offers a great variety of wine spa procedures, and also different kinds of massage, fitness center, two pools and Jacuzzi. 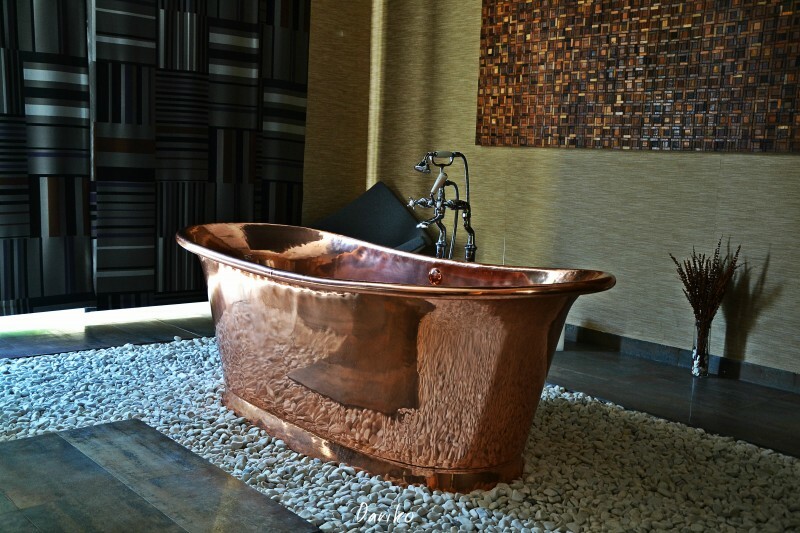 An approximate price for 1 night in Kvareli Eden is around $75, and an average price of spa procedures is $57. You will definitely find something for you there. Experience the other, healing side of Georgian wines, feel them with your skin! 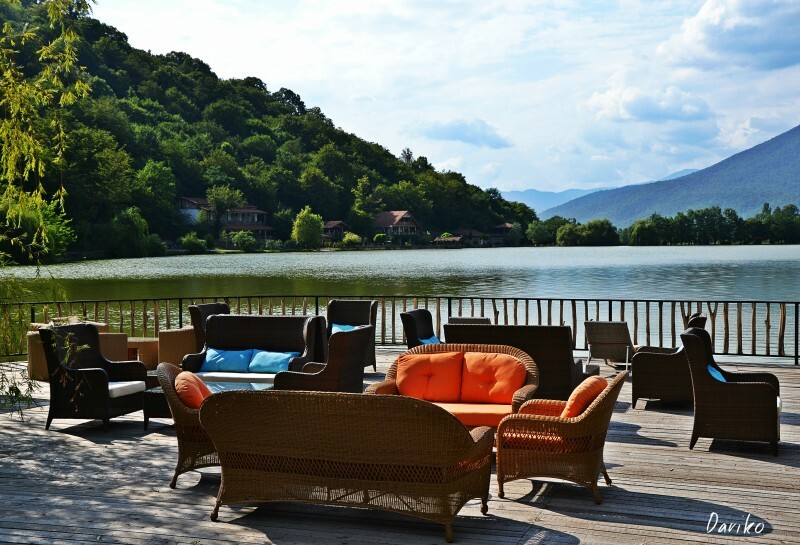 Another great opportunity to relax and experience Georgian culture at the same time is stay in Royal Batoni hotel, located at Ilia Lake. Spa complex is just being built, but the swimming pool has it all! Such a perfect place for hot summer days. 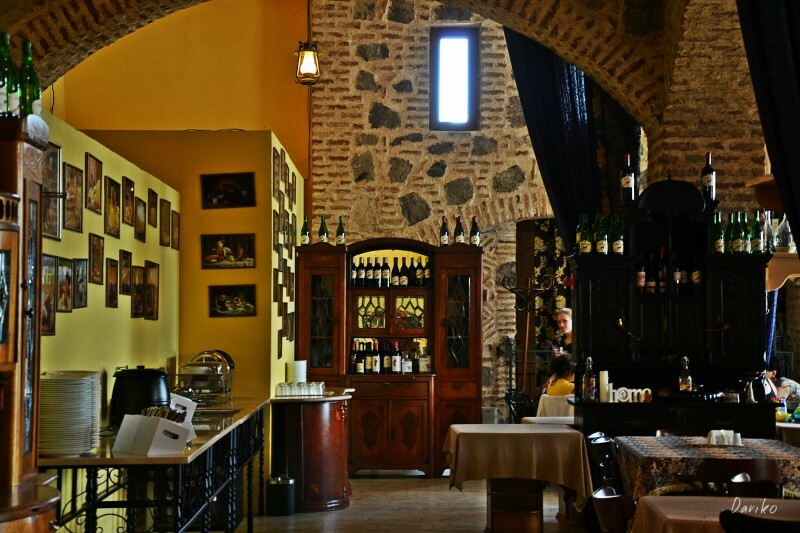 The hotel has its own wine production, so you can try their wines in the bar, or also learn how to prepare natural traditional sweets from grapes. Culinary master classes are available in Royal Batoni all around the year, and during harvest time, in October, the guests can also participate in harvesting and wine making process. Prices for one night there start at $80. 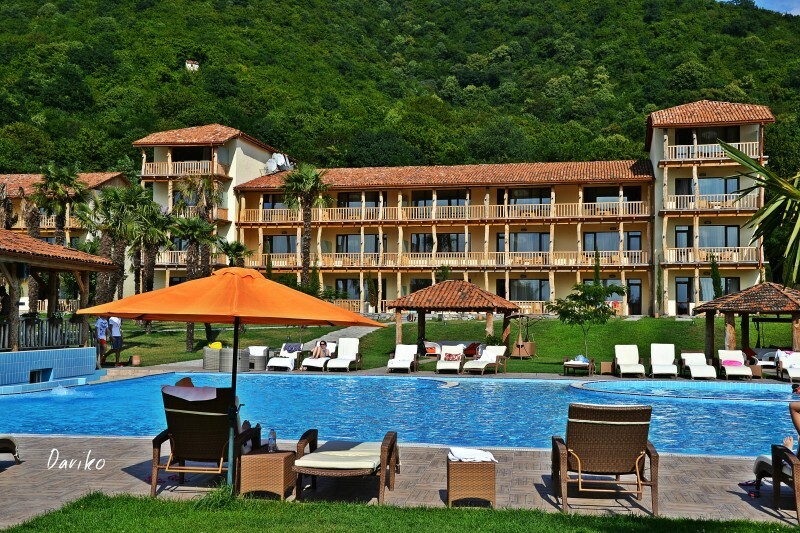 The biggest and the most luxury place out of all Kakhetian resorts is Lopota Lake resort. Located on two banks of a beautiful lake, it has everything for a great vacation: three swimming pools, an awesome spa complex, Russian bath, and even a horse stable. One night in the hotel can cost from $145 during high season, but you will definitely enjoy it. Be aware that just coming by is rather impossible: you have to pre-book your stay, even if you don’t want to stay overnight.